As children, Charles and Mary Lamb took great delight in exploring their benefactor's extensive library; as adults they began writing children's books together that also appealed to all generations. In "Tales of Shakespeare", they wished to bring their favourite plays to life for children too young to read and appreciate Shakespeare's work. This collection of twenty of Shakespeare's stories begins with "The Tempest", which explores themes of magic, power and reconciliation, and ends with "Pericles", "Prince of Tyre", an exotic play of love, loss and family ties. 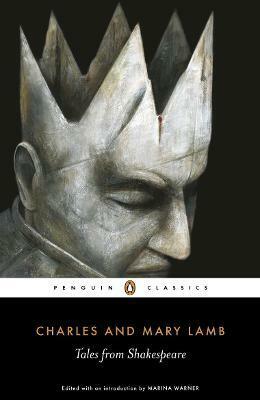 Between these two tales are twelve romances and comedies, all written by Mary, and six tragedies, all written by Charles. Each tale is told chronologically and retains much of Shakespeare's lyricism, phrasing and rhythm. Together, they form a captivating and accessible introduction to the Bard's work. Marina Warner is a prize-winning writer of fiction, criticism, and history; her works include novels and short stories as well as studies of female myths and symbols. Her recent books include: The Leto Bundle (2001), Signs & Wonders: Essays on Literature and Culture (2003), and Fantastic Metamorphoses, Other Worlds: Ways of Telling the Self (2004).